Nearly all employers are planning a workplace Christmas celebration, but only one in three has a policy to ensure good conduct at Christmas events, according to research. Contributor Sheila Attwood, Managing Editor for pay and HR practice – XpertHR. A survey of 262 employers across all sectors of the economy carried out by XpertHR, found that almost all (98.1 percent) are planning a workplace Christmas celebration in 2018. More than three-quarters (76.7 percent) of employers plan to throw a company-wide or departmental Christmas party, while two-fifths (40.5 percent) will hold a company-wide or departmental Christmas lunch. But many employers are looking beyond these traditional ways to mark the festive season. Popular alternatives include: Christmas jumper days (held by one-third of the survey sample); Secret Santa events (at a quarter of the sample); and Christmas quizzes and Christmas baking events (each offered by around one employer in 20). A number of employers favour more unusual Christmas celebrations, including: Christmas pyjama days; Christmas crazy golf; and a Christmas photo booth. Beyond these celebration survey looks at other ways employers mark the festive season. Decking the halls is particularly popular, with two-thirds of employers planning workplace Christmas decorations. One-in-five employers plan to award a Christmas bonus. Many employers make a financial contribution to pay for some or all of the workplace Christmas celebration. More than two-thirds of employers have a dedicated budget for Christmas celebrations, with a median planned spend of £40 per employee. A breakdown by organisation size shows that the smallest employers are the most generous. The median budget for Christmas celebrations at organisations with 249 or fewer employees is £50 per head. This compares with £35 per head for organisations with 250 to 999 employees, and £31.50 for those with 1,000+ employees. How employees might behave at seasonal celebrations is a key concern for some employers in the run-up to the festive season. 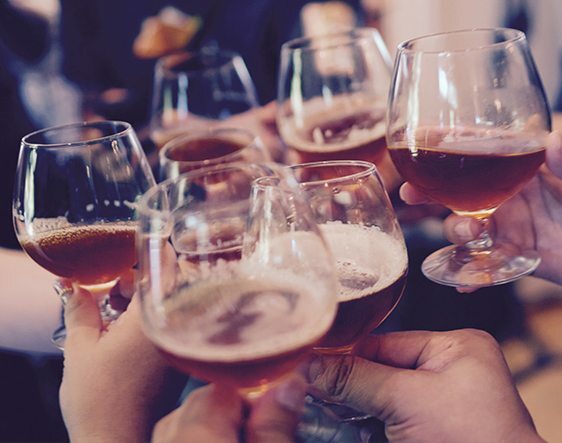 Employers may be held liable for harm caused to other employees or third parties by the negligent acts of their employees during company-hosted Christmas celebrations. Commenting on the findings, Sheila Attwood, XpertHR managing editor for pay and HR practice said: “Workplace Christmas celebrations are a great way for employers to show gratitude to staff at the end of another busy year. So it is encouraging to see that nearly all employers are planning to mark Christmas 2018 with festive celebrations in one form or another. “But just as important as holding celebrations is ensuring that they run smoothly and safely for all concerned. In particular, employers should bear in mind that they may be found liable for employees committing negligent or inappropriate acts that cause harm to others during work-related social events.